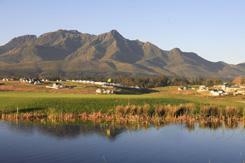 George Golf Course has the magnificent Outeniqua mountains as its backdrop. George Golf Club is among the oldest courses in the country and has for many years maintained a worthy rating amongst the top ten golf courses in South Africa. See top 100 courses in our website for the current rating. 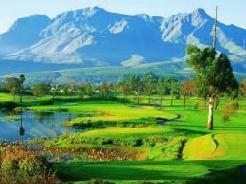 We rate it as one of the very best and a must play if you are visiting the George area. 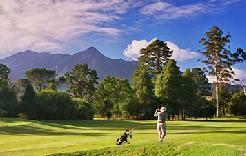 This beautiful parkland course, designed by Dr Charles Molteno Murray, offers views of the exquisite Outeniqua Mountains from every hole. The greens have recently been upgraded and the course offers unparalleled natural beauty and is designed to challenge any golfer. A firm favourite are the well established trees and natural vegetation, including the large dam which provides a visual focus to the course. 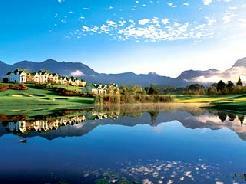 The main attraction of this course has always been its natural beauty, enhanced by lavish flora and the scenic Outeniqua mountains. 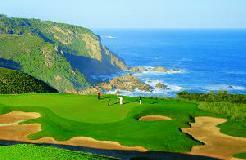 Many local golfers prefer it to Fancourt. 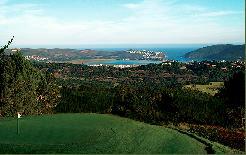 George Golf Club has over the years hosted many top S.A.G.A. Tournaments as well as the SA Amateur Championships. 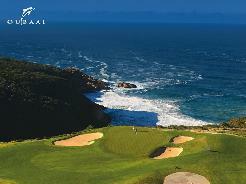 Signature Hole: There are so many excellent holes like the long seventh, the tough 18th finishing hole and the snaking 9th hole, all great par 4''s, but the 17th must be regarded as perhaps the best par 3 in South Africa. Played from the back tee, with a long carry over lower ground to an elevated green set in sharply sloping terrain, it requires an excellent shot to find the target. Course Design: Dr Charles Molteno Murray (1931), revised by Phillip Basson (1993).